Buy Foras Twist Birdbath Rainbow. Invite nature to your garden. 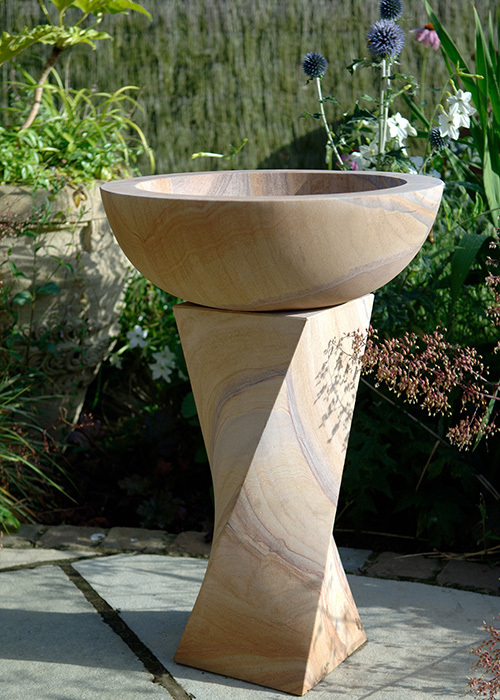 The Twist Birdbath is natures call to bring wild birds back into your garden. 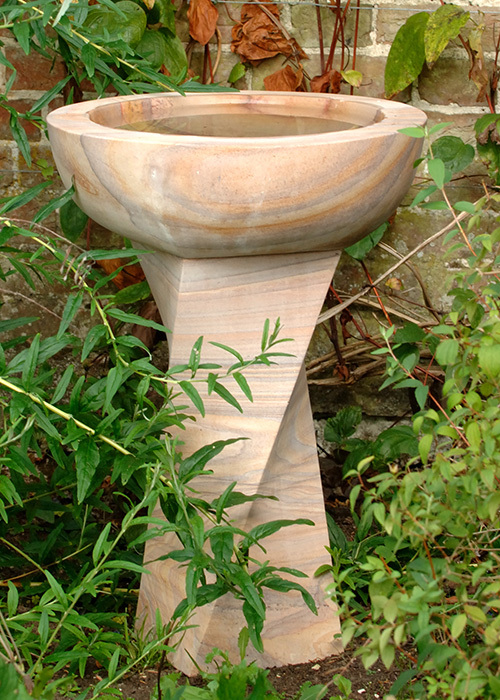 Carved from a single block of the highest grade rainbow sandstone, the natural mineralisation of the stone causes hues of orange, pink and pearl which are enhanced when the bowl is filled with water. With a depth of 9cm the bowl is a lovely spot for the birds to take a sip and standing at 65cm it is easily viewed from inside. The birdbath comes in two parts that are easily slotted together with no fixing required,all of our birdbaths are frost resistant and easy to clean and maintain. Please Note: Natural stone is a product of nature and as such no two are the same. There will be variations in colour, pattern, texture and veining. These differences are part of the beauty of sandstone. Pallet delivery cost is £50.00 this is required for products over 25kg in weight. We currently aim to deliver your order within 10-14 working days however this can change during peak trading seasons. 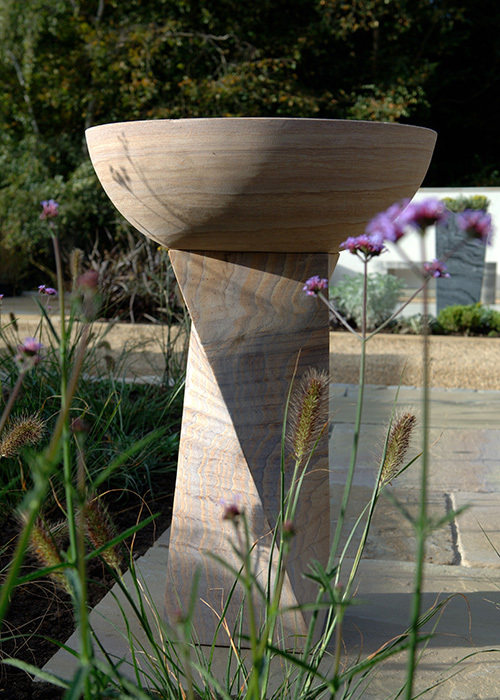 Foras will contact you to advise of available delivery dates, and you will receive a call from our delivery team on the day 1 hour prior to arrival at the delivery address. Please read the terms and conditions of delivery to fully prepare you in receiving your pallet delivery. By continuing your order you accept these delivery terms and conditions.